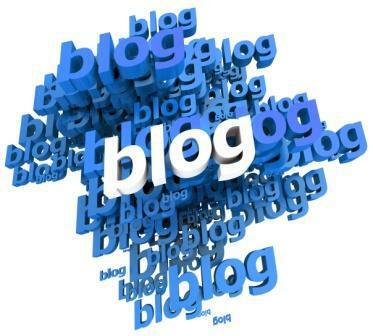 First of all I would like to say wonderful blog! I had a quick question which I’d like to ask if you do not mind. I was interested to know how you center yourself and clear your thoughts prior to writing. I have had a tough time clearing my thoughts in getting my ideas out there. I truly do enjoy writing but it just seems like the first 10 to 15 minutes are generally wasted simply just trying to figure out how to begin. Any ideas or tips? Many thanks! A blog, is a monster that needs to be constantly fed. It consumes information, pictures and feedback that demands attention constantly. Many ask me how, with a busy image consulting practise, with a image and color consultant training business, and as a single mother of two primary school aged kids do I get the time to blog. 1. Write down every idea or thought you may have about blog posts. I use the notepad function on my iPhone and iPad when I’m out and about. When I’m in front of my computer but not actively blogging I go into my Editorial Calendar (plugin – get it – it’s essential!) and put that idea in as a heading for a future blog post. 2. Schedule time to write. It’s much easier to put aside a few hours and knock out a few blog posts in one go and then schedule them, than try and fit in writing one post at a time. Yes, you need to get into the rhythm of it, and you may waste a few minutes of the start of the first, but when you’re writing the second and third post at that time you’re in the zone. 3. Get over yourself. An empty page can be daunting, just start writing whatever comes into you head. Sure it may be useless or not exactly what you want to say, but it stops the page being empty. You can always go back and edit, rewrite, and fix it, but if you don’t start writing, you’ll never get a blog post up. One of the greatest lessons I learned about writing was when I worked for Penguin Books as a publicist back in the 90s. I was working with the gorgeous Malcolm Bradbury, a very talented writer and most self-effacing man. He told me that one of his tips was to write the book, then throw out the first chapter. To scale that down to a blog post, sometimes you may need to write the post then throw out the first paragraph or sentence. This man was considered to be a brilliant teacher and writer. If he couldn’t get into the flow the first 10 or 15 hours (or more), then why are you beating yourself up over 10 or 15 minutes that you can’t? 4. Put your thoughts onto paper, or start with a picture. Nobody is expecting perfection on a blog. The more writing you do, the better your writing becomes. Your brain is elastic and will build more neural pathways the more you write, and this will increase your creativity and make it easier over time. 5. Have a break, then edit. Take a few minutes after you’ve written something to get away from it. Have a short break, then you can approach what you’ve written with fresh eyes, and maybe, you’ll discover it’s really not as bad as you originally thought! 6. Take a walk. I find many of my great ideas come to me as I’m walking the dog. Walking is like meditation to me, and when I’m out in the fresh air, with my blood pumping round my body, great thoughts spring into my mind. Record them with your phone (most phones have a voice recording function these days) as you walk so they don’t get lost. Then you can transcribe them when you’re back home. 7. Get the odd jobs out of the way first. If your mind is cluttered with all the other things that are pressing, household jobs, urgent tasks, do them first. You won’t be able to concentrate with them hanging over you. Do them, then clear the time, and your brain, to sit down and write. What are your writing processes? How do you make the time to blog and to be your most creative when you are blogging? Grab some Malcolm Bradbury here.